A perfectly timed slow motion angle for a look back at Deontay Wilder knocking Stiverne out in the very first round. Wilder knocking out Stiverne may have not have come as a surprise to some last night – but the quickness and brutality of the finish surely surprised a few. Stiverne, who did take the fight on late notice to be fair, had given Wilder a tough night’s work a couple of years back in their original fight. It was the be the polar opposite last night in New York however. Wilder’s unorthodox blows and supreme power overwhelmed Stiverne early on with three knockdowns on route to the referee stepping in. 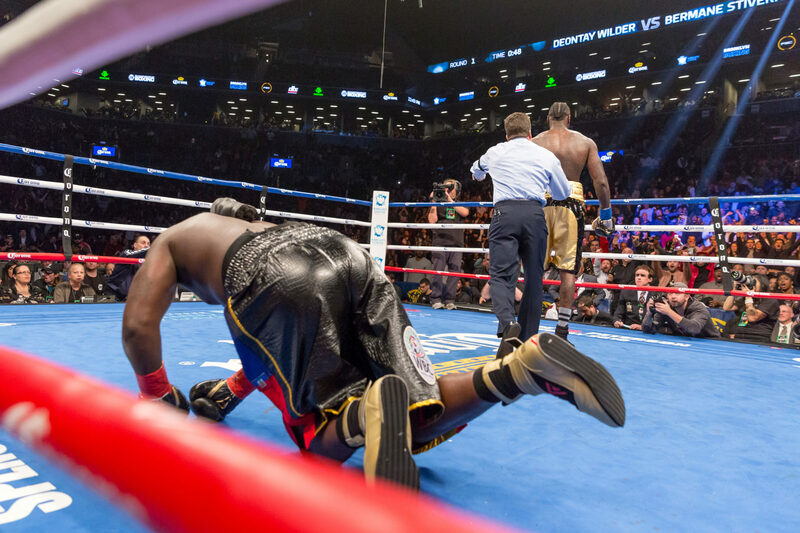 A barrage that never gave Stiverne much of a chance of recovering from in the end. Wilder now moves on to some potentially massive fights – involving the likes of Anthony Joshua namely. Well, that’s the fight he wants next but whether or not it will happen immediately remains to be seen. Joshua has also been linked with a fight against Tyson Fury in 2018 so between those three alone, some significant battles in the heavyweight division could be in the works next year.